If you search the Internet, you will find plenty of references to the medical benefits of the moderate wine consumption – for your heart, blood pressure, cholesterol level, and among other things, memory. It seems that jury is still out on the wine and memory – some say it helps, some say it works the opposite way – I guess it depends on who pays for the research and researcher’s personal view on alcohol – oops, let’s avoid the rant trap, and so let’s leave all the medical stuff aside. Wine and memory are connected on many different levels. In the most direct terms, mastering the world of wine will greatly tax your memory. Yes, anything humans do connects to memory. But think about thousands and thousands of producers in each and every wine region – the more names you remember, the easier it is for you to make a choice at a restaurant or in the wine store. And this is a simple scenario, as we build this memory step by step when we drink different wines, one producer at a time. And then there are those (very few) who have to know the names of about 6,000 German villages in order to pass the Master Sommelier exam – and this is something you simply have to memorize as there is no way for you to try the wines from all those villages to create some sort of mental connections. Think about next level of connection between wine and memory – when you smell and taste the wine. Have you ever smelled the wine, looking for all those blueberries, baking spices and Chinese Cinnamon, so exquisitely described on the back label of the wine? In this case, you need to memorize smells, not the words and there is such a fine line between blueberries and wild blueberries, for instance – it is definitely not an easy task to recall all the aromas (a perception of?) which exist only in our heads, and no wonder most of us struggle so much trying to dissect those escaping flavors – excelling at the blind tasting is so much more difficult compared to memorizing wine regions and producers. Beyond all the scientific and direct relationships between wine and memory lays something which is far more important than all the technical knowledge and abilities – our experiences. Wine is an ultimate connector and facilitator. It helps us to create memories which stay with us forever. It helps to retain those little moments which comprise life, and bring them back, one by one. Some of those little moments are very personable, often relating to the personal discoveries, especially as we are learning our ways in that vast world of wine. Some of them connect us with our friends and families. I don’t have that “pivotal bottle experience” which was a starting point of journey for many oenophiles. Instead, I can relate to the singular learning experiences. Growing up, the wine was never “a thing” in my family. We had some of the home made sweet plum wine, which I developed the taste for at the age of 14 or 15, taking random sips of the sweet liquid from time to time – but this was, of course, for the love of sugar and had nothing to do with learning about wine. In 1989, I was visiting the Czech Republic for work, and I brought back a bottle of white wine, Tokaji – we had it with friends and I thought that it was delicious (I don’t remember any details, but I think it was dry). Next year I visited Bulgaria and brought back the bottle of wine which had the same “Tokaji” written on the label. I still remember my grand disappointment after tasting that wine and finding it to be totally different (in a bad way) from the previous wine under seemingly the same name. The big question in my head was “how is that possible – same name, Tokaji, and such a different taste – what is wrong here?? ?” Of course, I had no idea about regions, producers, vintages – wine was one monolithic “thing” – and that feeling of total surprise became an everlasting memory. The absolute majority of my wine memories are happy memories – I guess this is how humans are wired, we don’t like to keep bad stuff around for too long. One of the worst memories for the oenophile probably connects to the faulty, spoiled bottles – corked, cooked, oxidized. I had my share of the spoiled wines, however – knock on wood, of course – not anywhere near some statistical averages, to the best of my knowledge. However, the majority of my corked wine experiences would involve a heated exchange with the service staff at the restaurant at the most, but no memories of high-end spoiled bottles (lucky, right?!). But when it comes to the happy wine memories, the sky is the limit. The discovery of Amarone, tasting of magnificent 1964 Rioja for the first time. First encounter with Krug Vintage, Chateau Margaux, Vega Sicilia Unico and the wines of Lopez de Heredia. The list can go on and on, and on. And then there are people experiences. Tasting freshly fermented Chenin Blanc at Paumanok winery with Ursula Massoud, right from the fermentation tank. Experiencing 1970 white port in the cellar at Quevedo Port house with Oscar Quevedo, poured directly from the barrel – the wine which most likely will never be bottled. Tasting magnificent Franciacorta sparkling wines right in the cellar, listening to Stefano Camilucci explaining the effect of music on the aging of the sparkling wines, talking to the passionate producers and seeing sparkling wine hitting the ceiling to demonstrate the effect of 6 atm of pressure in the bottle. Such experiences will stay forever with us, conveniently available at any time happy memory is desired. I really had fun with this trip down the memory lane. How about you? What are you happiest wine moments? When you hear the word “translation”, what is the first thought which comes to the mind? Make no mistake – we will be talking about the wine here, but let’s leave that aside for now – we will connect the dots a bit later. So, how about that translation? I would bet that your immediate thought was of a foreign language. This is where “translation” is typically invoked. Maybe you remember your French class in the high school; may be you have a vivid picture of your last trip to Italy – in either case, we see or hear the word (at least, we assume whatever we hear to be a word), and then we make an effort to understand what that word mean in our own language, and not just by itself, but also taking it in the context of conversation or a text we are reading. When we speak and read in our mother tongue, the words typically create immediate associations. If you hear the word “door”, you have an instant mental image of the door – whatever the style is, but you know it is a door. If you will see or hear the word “porte”, unless you speak French and expect to see a French word, that word will cause no mental images to show up, despite the fact that “porte” simply means “door” in French. You don’t have to travel or try to read Swiss newspaper in the morning to have a need to translate something. There are plenty of interesting words we encounter all the time, which need translation in order to achieve that comfortable mental image. Some of those words came from foreign languages, some are specific technical terms, some are just an urban jargon – either way we need to translate those word one way or the other in order to “get” them. Need examples? Let’s look at something as straightforward as steak. I’m sure the word “steak” generates an instant mental image (apologies to the vegetarian readers), of juicy, crusted goodness. But, without the help of Google, how many people do you think will be puzzled if asked if they would like to order steak Diane, chateaubriand or tournedos (okay, you can use Google now)? Steak is complicated, you say? No problems, let’s go even simpler here – how about some pasta? Easy, right? Okay, please describe to me croxetti, rachette or gigli. No? Yeah, sure, go ask Google. You know what is important here? Rachette or gigli, but we know that it is pasta, and it is comfortable enough for us, so we can skip the translation. Our experience can replace the translation itself – not always, but often. Take a couple of trips to France, and you will not be reaching for the dictionary to understand “merci” or “bonjour”. We don’t even think about what those words mean, but we know where and how to use them, and that works. We do learn, and as we learn, we get comfortable. But we have to still remember that translation is all about little details. You must be thirsty by now, so let’s talk wine. How often do we have to use translation skills around wine? If you said “all the time”, you are right. I’m not even talking about dealing with professional winemakers’ language (debourbage, remouage, Oechsle, anyone?). I’m not talking about translating from the crazy winespeak of some of the tasting notes (references to various exotic fruits are my “favorite” – how many people know how bilberry, jostaberry or a tayberry taste like? I’m sure we all can identify Satsuma plum and Castlebrite apricots, right?). Leaving all that aside, getting comfortable with wines requires a lot of learning – and translation. Yes, we can skip translation and just learn by drinking the wines, it is easy – I like this wine, and I don’t like that wine. But this approach doesn’t scale – there are millions of wines in the world, it is not given that the exact wine we like will be available anywhere, any time we want it. So we need to start translating the “winespeak”, which is typically right in front of us on the wine label, into the “mental images” we can bring on at any time. When we start drinking wine, we probably start from the grape. We try one Cabernet Sauvignon, and we like it. Then the next, and the next, and then we know – we like Cabernet Sauvignon. But one day we try Cabernet Sauvignon and it might be nothing like the wine we like. What happened? Time to learn about the regions. We start stating “I like Cabernet Sauvignon from Napa Valley. Until it is time to learn again – the label says “Cabernet Sauvignon”, the label says “Napa Valley”, but the wine is not that great – and this is when we might start learning about producers. There is not much translation in what I just described above – depending on where you live and what language you speak. Let’s not forget that Europe is still the most influential “wine region”, and so most of the wine drinkers will have to translate what they see, and pay attention to the “fine print”. Okay, it is a wine label, not a legal document, but we still need to learn to translate, as the language we assumed to be our native is not universal. Remember we started our love of wine from the Cabernet Sauvignon? Unlike California, French wines typically list only the region and not the grapes the wine is made out of. It is now our job as oenophiles to translate Pomerol and Saint-Émilion into “predominantly Merlot-based wines”, and Pauillac and Margaux into “predominantly Cabernet Sauvignon-based wines”. Many French winemakers understand this Achilles hill and they put the name of the main grape directly on the label. This becomes a great thing for some wine drinkers, while some of us are getting on the offensive – “ahh, this French wine list the grape – it must be a cheap plonk made specifically for the export”. Nothing is perfect, right? And then that fine print… As we keep translating, we learn that every little word is important, very important – but depending on the context. If you see the word “Reserve” on the bottle of California wine, it doesn’t translate into anything of any significance, as the use of the word “reserve” is not regulated in California. The word “Reserva” on the bottle of Chianti or Rioja, however, can mean the world of difference in the taste of the wine, as the use of this word is tightly regulated and it also translates into the significant difference in taste. I hope I didn’t lose you in translation, my friends. When translating, and we always do, we, oenophiles, should always pay attention – and enjoy the ride. Cheers! 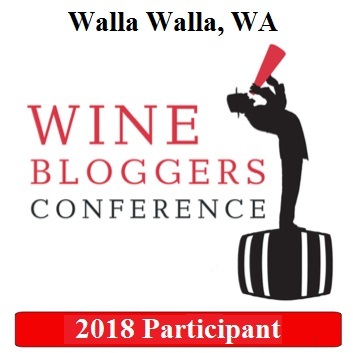 The Monthly Wine Writing Challenge started about four month ago with the goal to take the wine bloggers to the “next level” – one single word sets the theme, and all the willing wine bloggers create their best interpretation of the theme and its connection with the world of wine. In those four month the challenge themes went from “Transportation” to “Trouble”, then to “Possession”, and now to the current theme “Oops“, as set by the winner of the previous round, The Wine Kat. Yep, this video has nothing to do with wine, so let’s try to find our track here. Life is generally filled with “oops” moments. Some can be funny, some can be sad. Some can be innocent, and some can be deadly, like missing the stop sign at a busy four-way intersection. The worst part of the oops moments is that they keep happening over and over, as we forget to learn from the previous ones. Technically, you are not supposed to step on the same rake twice, nevertheless, we like doing it over and over again. Wine world is particularly prone to the oops moments. Problem is that you try one wine, and you think that you know them all. While there are so many factors affecting the taste of wine at a given moment – you mood, food, surroundings, company, price, label, your friend’s opinion, how long the bottle was open, is it at the optimal temperature… had enough? Nevertheless, it is enough to have one Chardonnay from Napa Valley not to our liking, where we will immediately generalize and come to the conclusion – okay, I’m not drinking Napa Chardonnay, just period – I had one, I know them all. That alone is a great source of the oops moments. But that is not all. Additionally, we are often not shy at all to state our opinion, as people think they have to have an opinion about wine, and it should be expressed, loud and clear – “yes, of course, they only make cheap wine in Australia”, “yes, I already had the Bordeaux once – it is a complete crap”. Often, it seems that wine simply breeds arrogance and snobbery – which leads to the multiple embarrassing oops moments. Overcoming this tendency is actually a hard work, and we really need to keep the focus to stay humble and thoughtful around wine – for our own good. Let me give you an example of couple of my own profound, embarrassing oops moments. About 6 years ago, I visited Ridge winery in California in Santa Cruz region. Ridge had being making wines since 1962, and has somewhat of the cult following, especially for their Monte Bello Cab. I visited the winery with the friend, and we were also on the mission to find a good bottle (at the reasonable price) to bring it that same evening for dinner at another friend’s house. So we tasted through the full line of wines, and we didn’t like a single one of them. I don’t know what could’ve caused that – may be it was a Root day for me, may be I was just in the wrong mood for the tasting, may be something else. But the important thing is that based on that tasting, I made a strong conclusion for myself – Ridge doesn’t make good wines, it is all marketing fluff. Then about 3 years ago, I saw a tweet from Jancis Robinson, where she mentioned that she is working on the line of classic wineries for a big tasting, and she is including Ridge as one of the exemplary wineries in US. Here comes me, who already tasted Ridge once, and therefore I’m an expert on the subject, with the comment that I don’t understand why is she even mentioning it, as I was at the winery and didn’t like any of their wines. Jancis responds to my comment that she disagrees, and Ridge shows perfect sense of place. Next thing someone sees my comment and gets very upset as it is impossible not to like Ridge, and if I don’t like it, I have to be blocked (I even wrote the post about it). Well, no, we didn’t get to the oops moment yet. Then, about 8 month later, I was again in the close proximity of Ridge, and decided to give it another try. I don’t know what was different that time – may be a cheerful girl who was pouring the wine, a different weather, a flower or fruit day – don’t know, but… I not only liked the wine, I loved each and every wine I tasted (here is my post about the experience). Now, here you have a classic oops moment. I wish I could’ve kept quite in that twitter dialog with Jancis, I really wish I would’ve kept my opinion to myself – but no, I had to show my expertise – and eat my embarrassment thereafter. In the spirit of “oops, I did it again”, I need to give you another example, this one is a very recent one. You see, I like New Zealand Sauvignon Blanc – fresh grapefruit, lemongrass, vivid acidity – very nice wine in general. I know that you can buy the majority of New Zealand Sauvignon Blanc in the range of $10 to $16, and they will be very good wines for the most of the cases. And then there is Cloudy Bay – a New Zealand Sauvignon Blanc which typically costs $26 or more. In my mind, the picture is clear – what can be so different about Cloudy Bay compare to any SB which is $10 to $16 cheaper – I had the others, I’m sure it can’t taste any differently (smart and not arrogant at all, right?). Then I see a blog post by Stefano, where he speaks very highly about Cloudy Bay, and the little genius inside gets me to make a comment that Cloudy Bay can’t be so much better and different to warrant paying that much more money for the bottle. And then I come to the trade tasting, and see the Cloudy Bay being poured. I take the first sip, and it becomes my instant “oops” and “oh sh!t” moment, as the wine is stunningly beautiful, and of course I will be glad to pay more money for it – as it is really different from the mainstream. There you have it my friends. The oops moments are unpleasant, and they will hunt you down – it really worth an effort to avoid at least the repetitions. Stay open, stay humble and keep learning – the wine world is yours to enjoy. Cheers! In June 2013, Jeff a.k.a.The Drunken Cyclist, started the Monthly Wine Writing Challenge, where the new theme is announced on about the monthly basis by the winner of the previous round. This month’s theme, as announced by The Armchair Sommelier, is “Trouble”. When you look at the bottle of wine, do you see a trouble lurking around ? No? Well, let me help you. Think about bottle shapes. Probably 80% of all the wine bottles made worldwide will fall into one of two shape categories – Bordeaux or Burgundy. Yes, there are some shape variations even in those big classes, but they are nominal. Which means that if you will put next to each other a bottle of Bordeaux which retails for $6.99 and the one which will command $699, they will look very, very similar. What differentiates them? Yes, of course the content, but this is not something you know just by looking the bottle. So the only things which will differentiate those two bottles will be labels. See the trouble yet? Let’s continue. 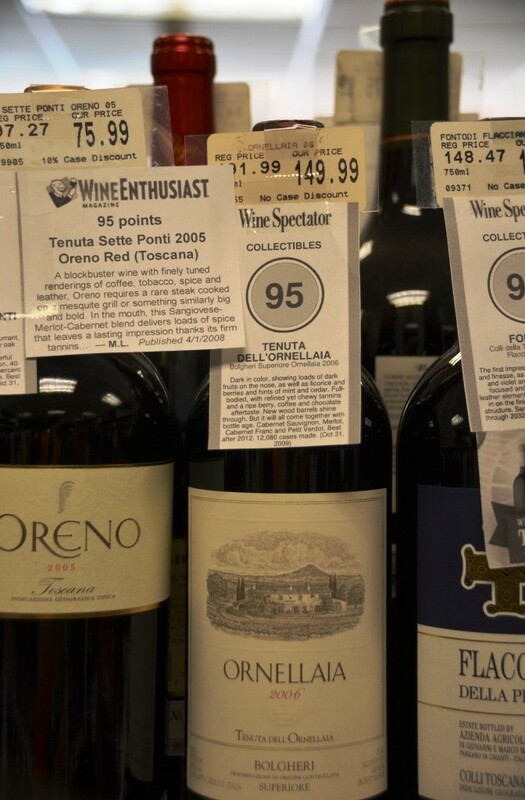 In the wine store, one is guided by the visual cues – namely, the price tags. Take the cues out – and then even labels look identical. Yes, yes, before you call me an unintelligent low life and stop reading, give me a few more minutes and you will see where am I going. Of course, for the small group of crazy devoted wine geeks, every little word on the label is cherished and carefully assessed. 1982 vintage? Bordeaux? That’s nearly a heart attack. Tiny letters RM on the bottle of Champagne. La Turque, Qunitarelli, Alban, 1961, Pingus, Latour, 2000, To Kalon, Colgin, Riserva… I can go on and on and on with all those cherished words. We see any of those words on the label of the wine bottle, and the brain immediately sends out command for awe and appreciation. Now, step outside of this crazy devoted circle. Outside of the wine store, does the bottle of 2009 Chateau Latour Bordeaux (about $1,600 per bottle, if you can find it) looks all that different from 2009 Chateau Moulin de Beausejour Bordeaux ($6.99, readily available at your Trader Joe‘s)? No, not really. Bottles look very similar in shape, both say “Bordeaux”, both have the same vintage listed – 2009, both have the word “Chateau” on them. Do you see it now? The trouble is not lurking anymore, it is looming, as a huge stormy cloud, full of wind and water. Let me give two examples. Here are two real life stories of my friend Zak, the owner of the wine store in Stamford. The first one I only heard from Zak, and second one I witnessed myself. The lady comes into the store and asks for help. “I’m looking for the bottle of the Italian wine. I don’t remember the exact name, but I think it starts with “S”. If you will show me what you have, I will be able to recognize it”. Zak takes her to the Italian wines section. The lady looks around and says excitedly “this one!”, pointing at the bottle of Sassicaia. Then she looks at the price tag ($179 or so), looks at Zak, back at the price tag and says with the hope in her voice: “this is the case price, right?”. “No, madam, this is the bottle price”, answers Zak, and lady’s face becomes all overwhelmed with he emotions and she mutters “ahh, no wonder my husband got so upset when I used this wine for the pasta sauce…”. Turns out the husband was not at home, and the lady was looking for the bottle of red wine to add to the pasta sauce, and the bottle of Sassicaia looked not any different than any other bottle of the Italian wine… Trouble! I’m standing in the store talking to Zak. The girl comes in with the bag of empty bottles and starts putting them one by one on the counter and then tells Zak: “I need to get this exact wines”. I’m, of course, curious, and I’m picking over Zak’s shoulder as he is looking at them one by one. Some kind of Spanish wine. Something else I don’t recognize. 1995 Chateau Mouton Rothschild. 1999 Riesling. Something … Wait, what? 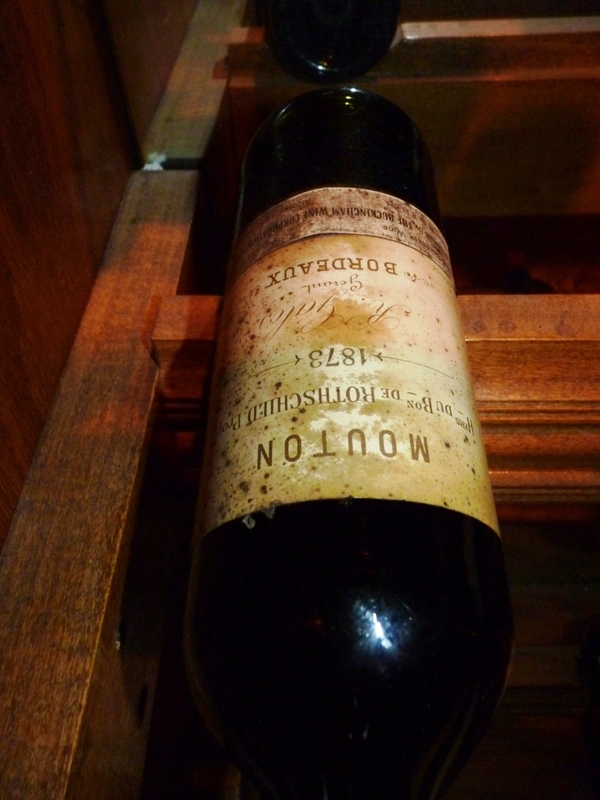 Mouton Rothschild 1995, one of the First Grows Bordeaux? That will be interesting. Zak points at that exact bottle and says: “I don’t have this wine, miss, and it will be hard to get it as this is an old vintage”. The girl asks if he can get the current vintage. Zak looks in the catalog and says “well, I’m not sure if it will be available, as this is highly allocated wine, but if it will be, it will be about $900… Yes, for a bottle”. You should have seen despair and horror on the girl’s face. Turns out her uncle left on a long trip, and left the girl to be house-sitting. Of course having the house party with the full access to the cellar was not what her uncle planned for, and now that he was coming back soon, the girl was on the recovery mission. Is that a trouble? One look at that girl’s face would tell you – yep, big time trouble! There you have it, my friends. Wine is a dangerous thing, with the “trouble” spelled all over it… Or not. While there can be multiple personal “troubles” around the wine, which will seem serious to the person experiencing them (think about that girl), in a big schema things, we need to remember that at the most, all those troubles will become great (and funny, for the most part) stories to tell later on. Wine is just a beverage, and there always will be another bottle to drink. I can only wish to all of us, that the wine troubles would be the biggest troubles of our lives. You can pour another glass now. Cheers! Let’s start with the answer for the wine quiz #66, Grape Trivia – Chardonnay. In that quiz you were supposed to answer 5 questions about probably most popular white grape in the world – Chardonnay. Here are the questions, now with the answers. Q1: Name the producer of the most expensive Chardonnay wine in the world. As an added bonus, please also provide the name of the wine. A1: Domaine Romanee-Conti (DRC), which is probably the most famous in the world producer of red Burgundy wines also makes a tiny quantity of the white Burgundy in Montrachet. This wine is impossible to find, but if you will, it will set you back by at least $3,000. Q2: Chablis used to be the bustling Chardonnay producer in France, supplying most of the wine in Paris and beyond, until it came to the severe decline during the beginning to the middle of the 20th century. Do you know what was one of the biggest factors which led to that decline? A3: Vanilla, butter and oak – read the description of any “big” California chard, and most likely you will find all these words. Q4: Judgement of Paris of 1976 was instrumental in bringing California Chardonnay onto the world-class wine map. Do you know which California winery we need to thank for that? A4: Chateau Montelena was the one! Q5: As with many other grapes, various clones had being developed for Chardonnay, to adapt better for the particular region and/or resulting wine style – for example, there is a number of so called Dijon clones of Chardonnay, which can be used by anyone wishing to produce a classic Burgundy style wine. One of the clones was developed in California in the middle of 20th century, and it is still a very popular choice among many California Chardonnay producers to the date. Can you name that clone? A5: Wente clone. 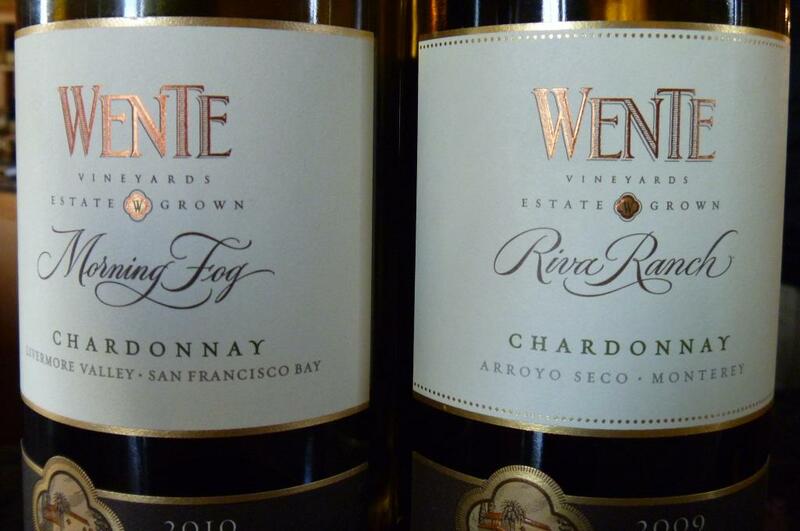 It took about 40 years to create the Wente Chardonnay clone, which became a popular choice among winegrowers in California in the 1940s – 1950s. You can read this article for more details. Looking at the results of this quiz, I have to tell you that I actually anticipated higher success rate – but it seems that outside of the question 4, which was answered correctly by all, the rest of the questions came up to be rather difficult. We don’t have a winner today, bu the honorable mention goes to Asueba, who correctly answered questions 1 and 4, and was quite close with the answers for the questions 2 and 3. Well, I don’t even know where to start – lots of interesting things are happening! 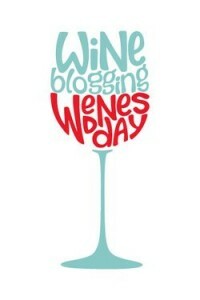 Now, I have to tell you that Wine Blogging Wednesday is back!!! For those of you who missed it ( which will probably be quite a few people), this was a popular monthly wine blogging exercise. Every month a new theme was announced, like Cabernet Sauvignon, or Viognier, or Single Vineyards and so on, with various bloggers playing role of the host. This was not a competition, but rather a thematic submission with the host producing a summary blog post after the wine blogging Wednesday, or #WBW, would take place. These #WBW events stopped for almost a year – and I’m glad to see them come back. The theme for the Wine Blogging Wednesday #80 (#WBW80) is Dry Rosé, and the #WBW80 event will take place on August 14th. 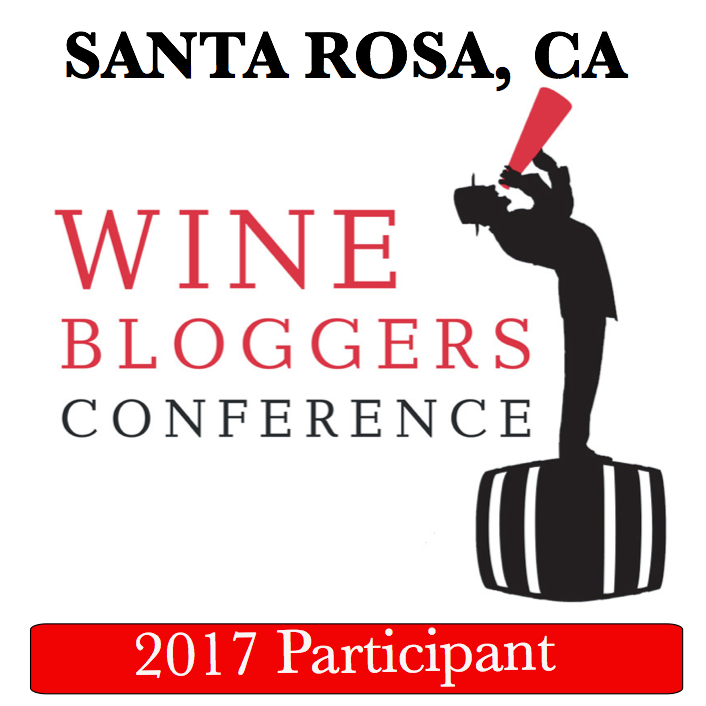 For all the details on the #WBW80 and previous 79 #WBW events, please visit Wine Blogging Wednesday web site. It is hot. It is the summer. But – 31 days of Riesling event is in full swing! Nothing cools you off better than nice and refreshing glass of Riesling. The 31 Days of Riesling event is going on until the end of July – check the event web site for the participating restaurants, stores and tons of interesting stuff about Riesling. When was the last time you tasted Chenin Blanc wines? Lettie Teague, the wine writer for the Wall Street Journal, calls Chenin Blanc a “delicious underdog” in her recent article. You might want to read it, and then may be even grab a bottle or two based on her recommendations – you might be in for a delicious surprise, as I was with Field Recordings Jurassic Park Vineyard Chenin Blanc. Last but not least, I want to bring to your attention a rant by Duff Wines about the way we taste the wines and live our lives. It will worth your time, so I highly recommend it. That’s all I have for you, folks. The glass is empty – but refill is on the way! Until the next time – Cheers!